Last week we attended Podcast Movement 2018 in Philadelphia, USA. 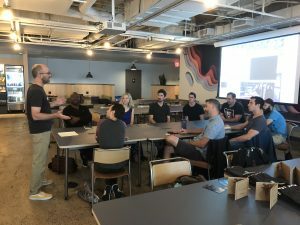 It was a great refresher for us – even an eye opener on some levels – in terms of what we are doing with the podcast as well as what we’re doing as doc filmmakers. As was the case last year, we left the conference feeling more connected to a community of podcasters. But this year, perhaps more importantly, we are feeling a need to be more connected you, #doclifer, which is what this week’s episode is all about… Connectivity. We are making a more concerted effort to get back to our core of The Documentary Life, which is to provide a platform whereby we, as doc filmmakers, can all feel a little more connected to one another, to our doc brothers and sisters! In the episode we talk about the importance of using your Meetups! We also mentioned two Meetup groups that listeners of the programme head up in Philly and Charlotte. Check’em out if you’re in the area! 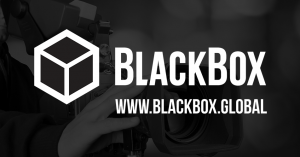 Episode #84 is proudly brought to you by BlackBox Global, creators of the easiest way to turn your filmmaking skills into passive income!